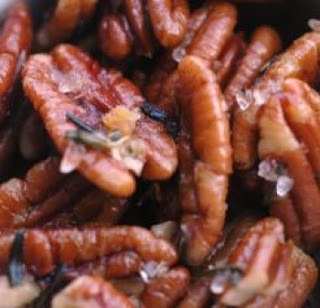 Pecans Roasted with Rosemary — Toast 5 cups Louisiana pecans in mixture of 1/4 cup olive oil, 1/4 cup fresh rosemary (coarsely chopped), 4 tsp kosher salt, 1 Tbsp granulated sugar and 2 tsp freshly ground black pepper on middle oven rack at 350°F stirring occasionally, for about 20 minutes. 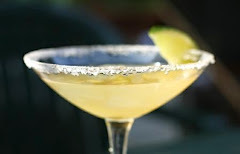 Place walnuts in a single layer in a shallow pan. Mix together remaining ingredients and pour over walnuts. Roast in oven until browned, about 10 minutes, shaking occasionally. 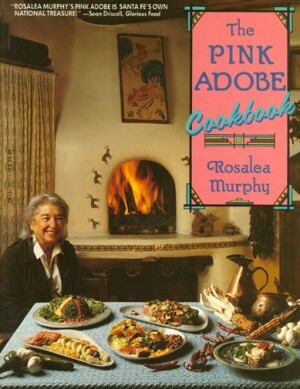 The Rosemary Walnuts recipe is from Roselea Murphy, The Pink Adobe (New York: Dell Publishing, 1988), 11.